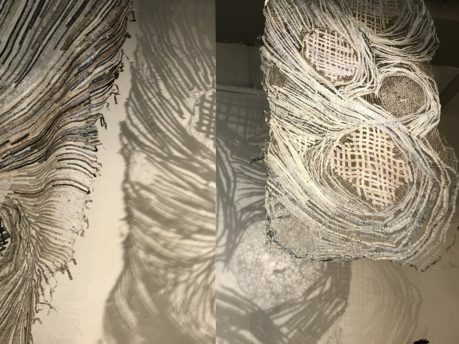 On this episode of the podcast Gloria Kirk-Hanna takes us behind the scenes of her 2017 ArtPrize entry “Fragments of Old Bones; New Soul” a fiber art installation that is a visual manifestation of her artistic journey through divorce, loss and grief and finding love again. 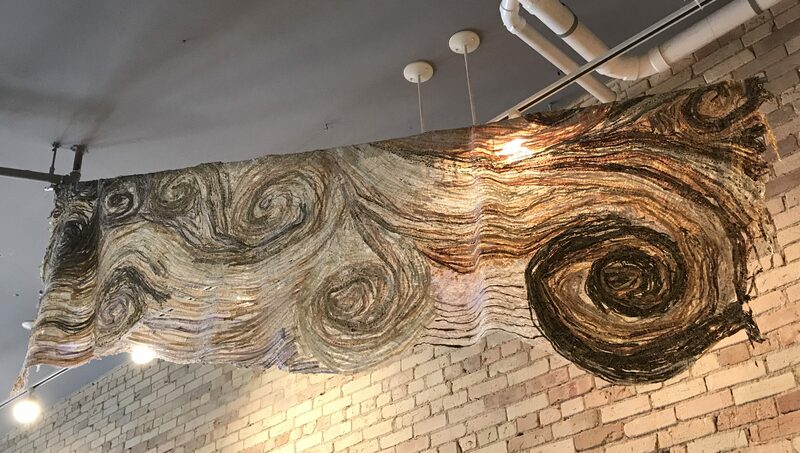 The installation is on display at Parliament the Boutique, 136 S. Division Ave. in Grand Rapids. 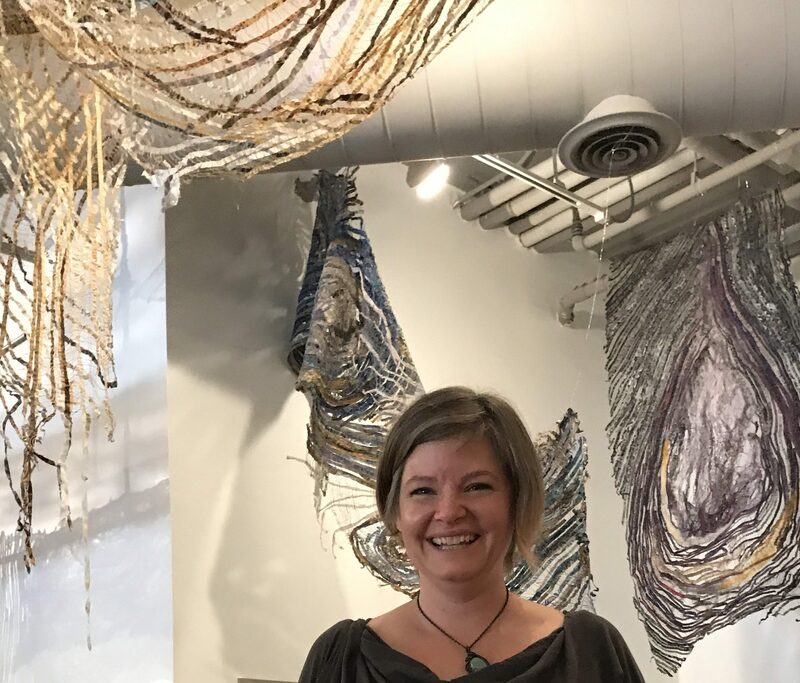 Tune in to listen to Kirk-Hanna tell the story behind her fiber art. To see more of Kir-Hanna’s work, visit Grand Armory Brewing, at 17 S. 2nd, in Grand Haven, Michigan during Grand Haven ArtWalk which runs through Oct. 8, 2017. You can also follow xstreamfibers.com on Facebook and Instagram @kirkhannagloria. She sells her scarves, shawls, cowls and fine art pieces at Higherartgallery.com in Traverse City, Michigan, the Muskegon Art Mueseum gift shop and Carlyn and Co., 205 Washington Ave. in Grand Haven MI. 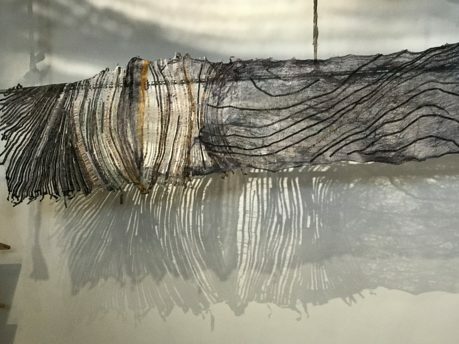 She also has an upcoming show with the Holland Arts Council.